Every fall weekend you can turn on any one of the pregame shows and hear the talking heads previewing games and using terms like “playing on short rest” or “should be fresh coming off the bye week”. Because of Thursday night games, we’re also getting this one “They are benefiting coming off a mini-bye week after playing last Thursday” The public has been trained to think that teams coming into a game with extra rest has an advantage and teams coming into a game on short rest has a disadvantage. It only makes sense right? In a physically demanding game like pro football a team that has more time to recover and rest their bodies have to have the advantage? Some people love football betting trends and some think they are horseshit (Which we go over in this article, Football Betting Trends – Meaningful or HorseShit?) For those of you who like trends, we decided to go back the last four years (2014-2017) and look at three different scenarios. Team records straight up and against the spread after their bye week. Team records straight up and against the spread after a Thursday night game. Team records straight up and against the spread on short rest following a Monday Night Game. 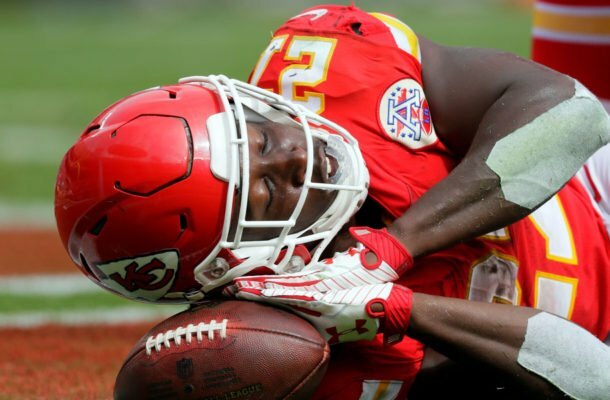 NFL “experts” on TV, radio and the internet have made us believe that it is common sense that teams on long rest have a better chance in their upcoming game and teams that played on Monday Night and have only five days rest will have a tough time. Obviously, no one in their right mind would believe that just because you have longer rest you will automatically win the game, but the recurring theme is teams have better records with extra rest. The last four seasons, teams playing on short rest after a Monday Night game have gone 58-66 (47%) straight up the next week and 56-68 (42%) against the spread. Football is a game of routine. Monday after a game you watch film, get treatment and lift weights. Tuesday is usually an off day followed by introducing the game plan on Wednesday. Another full practice on Thursday with travel days and a walk through the rest of the week. It seems when this routine is thrown off even by a day it reduces your chance for a win the following week. Extra rest is no different. Maybe getting away from football during the season is not always a good idea. So this 2018 season when the lines come out each week make sure to look back and see if either team is on short or long rest. Below are team by team records on short and long rest from 2014-2017.